The Canadair Mk 4 was very similar to the North American F-86F-30. The lessons from the Korean War were incorporated in the airframe, including the 'all flying" tail plane. Unlike the F-86F, the Mk 4 retained the earlier GE J-47-GE-13 and the most distinctive external difference was the additional fuselage side vents. 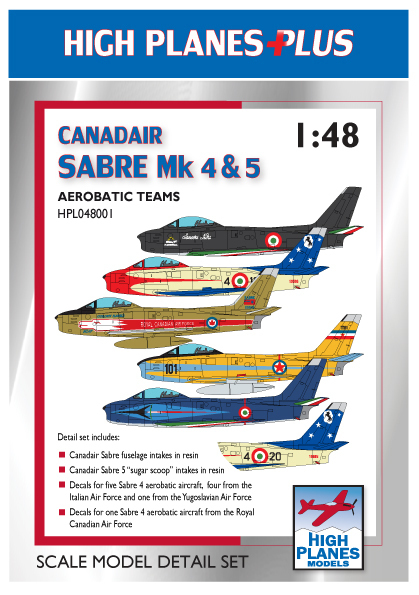 The Canadair Mk 5 was substantially re-engineered. The Orenda 10 engine increased the thrust by 25% to 6,500 lbf (29 kN) and the fuselage access panels were modified for the new engine. To increase cooling, 'sugar scoop' vents were later added as a field modification to the Mk 5 and its successor the Mk 6.